Hide deals from seller "Lenny's Canes"
Hide deals from category "Accessories"
Limit 1 per person. Valid toward in-stock canes or walking sticks. Not valid on custom orders. Open Monday-Saturday from noon to 5 p.m. Promotional value expires 365 days after purchase. Advertising solicitation prohibited. 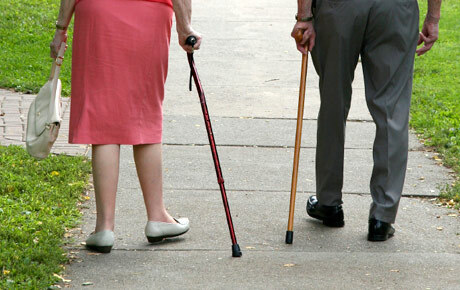 Get a great gait when you use this deal for 50% off canes and walking sticks from Lenny’s Canes in Janesville ($40 value). Their variety of handmade canes, walking sticks and hiking sticks are sure to put a new spring in your step. Owner Lenny has worked with wood for most of his life. When the opportunity to combine his woodworking and business experiences arose, he chose to develop his passion for creating unique canes. His showroom houses more than 1,500 beautiful products, made from everything from cherry wood to recycled piano. You will be amazed by the level of expertise and personal attention in this wonderful shop. Retailer in Janesville offering handmade canes, hiking sticks and more.